Why bring your vehicle to Toyota of North Charlotte for automotive service? Toyota of North Charlotte is dedicated to giving you the best automotive service possible! 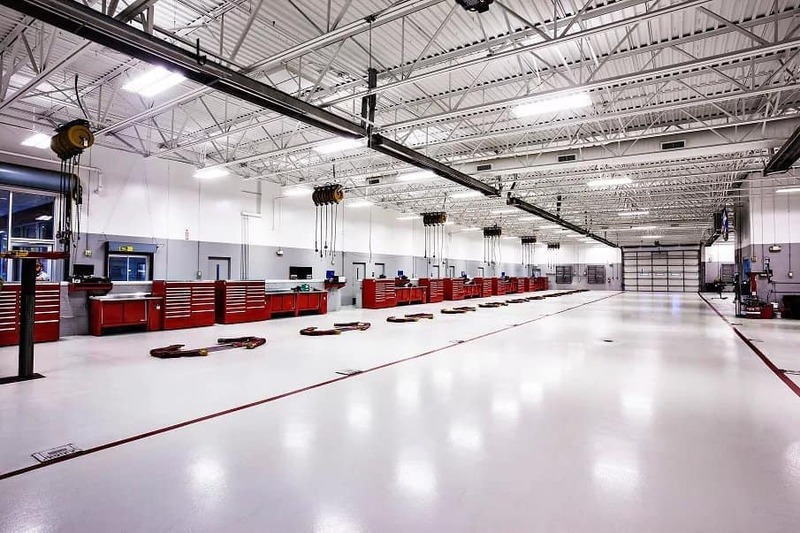 Our Toyota of North Charlotte dealership is equipped with 29 service bays and 4 high-speed oil change pits. Even coming in just for a quick oil change in Charlotte is incredibly easy at our Toyota Service Center. We have all of the state-of-the-art equipment needed to thoroughly service all different makes and models. Additionally, we only hire Toyota certified technicians to handle all of your car repairs in Charlotte. Our technicians work as quickly and efficiently as possible, so you can have your car serviced and back on the road in no time! When servicing your car, our goal is to return it in the best condition possible – we want to retain the quality for which Toyota models are so renowned! With every type of car service, we offer a free multi-point inspection to be sure your vehicle doesn’t have any problems or issues. We want to make sure that when you bring your car in, everything issue is addressed in one appointment. Time is precious to many of our customers and we proudly honor our commitment to efficient service. As a matter of fact, we proudly offer Toyota Express Maintenance for your factory-scheduled maintenance and minor repairs, so we can get you back out on the road as quickly as possible! While you’re waiting for your vehicle at our Toyota of North Charlotte Service Center, we have two waiting areas so you can sit and relax. You can watch TV, take advantage of our free Wi-Fi, and even enjoy free fresh coffee from our snack station. There’s even a viewing area where you can watch the technicians work on your car! The service center has incredibly long hours so you can schedule an appointment that’s convenient to your busy schedule. We offer amazingly low prices on all car service near Charlotte! Not only do we offer great prices all service and routine maintenance, we only use the highest-quality products. When you come in to get an oil change in Charlotte, we’ll only use high-quality Mobil Oil on your vehicle. Using high-quality oil gives your car a better performance. We also offer fantastic deals on new tires, offering choices by Bridgestone, Michelin and Goodyear. Additionally, our repairs and services are guaranteed for 12,000 miles or up to one year – whichever comes first! We want to give you peace of mind regarding the quality of our work when we’re done with your car. Our technicians also check parts of your cars most repair centers wouldn’t – we check the underbody of the car for rust and other cosmetic issues. For safety’s sake, we also always check the air in your tires to ensure it’s at the correct pressure for your specific car model. Make an appointment today at the Toyota of North Charlotte Service Center! 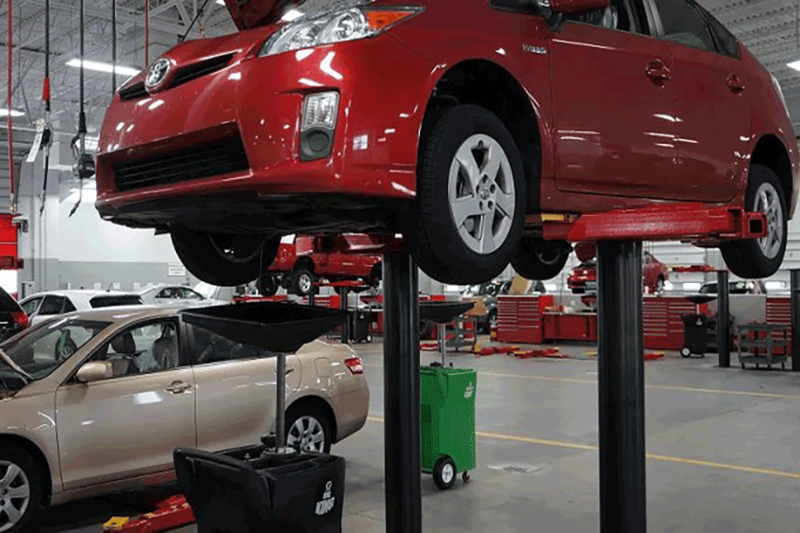 At Toyota of North Charlotte, we make bringing your car in for routine maintenance a breeze. Any type of car is welcome at our facilities and will be in the qualified hands of our Certified Toyota technicians. We’re confident in our work and we keep our customers happy! Make an appointment conveniently online, or you can call us at (704) 875-9199 – and don’t forget to ask about our service specials to make your experience that much more affordable! We look forward to seeing you soon!